‘Success’ is directly proportional to the ‘Hard Work’ and ‘Aim of Life’. ‘Destiny of an Individual’ completes the magic of ‘Success’. Life of an athlete is full of unquenchable thirst and hunger to achieve the ‘Ultimate Moment’ for the World to acknowledge their mettle and glorious achievement. Life of a sporting individual is full of hard work, dedication, perseverance, psychological toughness, sacrifices, tough challenges and disciplined daily routine. The aim of every sporting individual is to win the GOLD! Break existing records to etch their names in history books. Enjoy those few minutes of glorious moments and hear the National Anthem with great pride. Life becomes worth, as billions watch and millions are inspired with the great success stories. Here are three extraordinary record-breaking women athletes, who had etched their names in history books with their superb performance to win GOLD for their respective countries at the 2018 Winter Olympics. Ester Ledecka was born on the 23rd of March 1995 in Prague. Her father, Janek Ledecka is a renowned musician in the Czech Republic. Her mother, Zuzana Ledecka is a figure skater. Born in a sporting family, Ester’s grandfather is a former ice hockey player. Jan Klapac was a seven-time World Championship and two-time Olympic medallist. At a tender age of four, Ester took to skiing. Like her grandfather Jan Klapac, she picked up Ice Hockey as her first sport. She switched to snowboarding at a later stage. In the 2012-13 competition, Ester finished 13th in her first World Cup tournament in the parallel giant slalom event. This was just the beginning for Ester’s successful journey. Ester Ladecka won her first Gold medal in ‘Parallel Slalom’ event at the 2013 Junior World Championship, at the age of 17. She also won the Gold medal in ‘Parallel Giant Slalom’ event. Ester was name the ‘Junior Sportsperson of the Yea’ at the Czech Republic's 2013 Sportsperson of the Year Awards. In the 2013–14 FIS Snowboard World Cup Ester won the Gold medal in the ‘Parallel Giant Slalom’ event in Rogla. 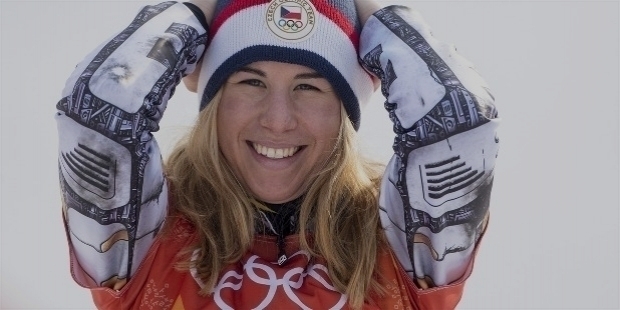 She became the first Czech and the third Czech to win a World Cup Snowboarding event. In her Olympic debut at the 2014 Winter Olympics, Ester finished seventh overall. The talented Ester Ledecká combined her snowboarding career with competing in alpine skiing. She finished 24th in her debut race at the FIS Alpine Ski World Cup in February 2016. In 2017, Ester made history as the first sportsperson to compete in skiing and snowboarding in World Championships. She went onto win Gold medal in the ‘Parallel Giant Slalom’ event, followed with a Silver medal in the ‘Parallel Slalom’ events at the Freestyle Ski and Snowboarding World Championships in Sierra Nevada, Spain. At the 2018 Winter Olympics, held in PyeongChang, Ester Ladecka created history finishing ahead of 2014 Olympics defending Gold medalist Anna Veith, by just 0.01 seconds to win the Gold medal in Supe-G in alpine skiing. She created history once again, winning the Gold medal in the ‘Parallel Giant Slalom’ event, to become the first-ever female athlete to win Olympic Gold Medals in two different sports in the same Winter Olympics. 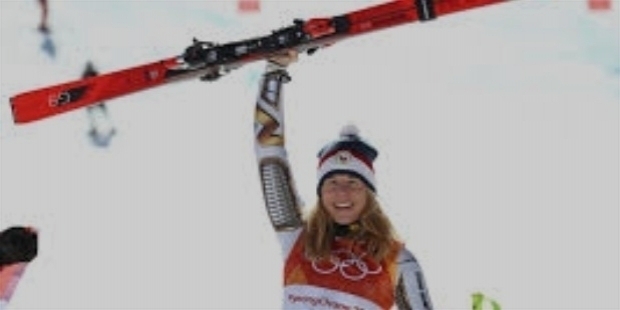 Ester became the first Czech to win the ‘First Alpine Skiing Gold Medal Winner’ for the nation. She was rightly chosen as the flag bearer at the closing ceremony. Elizabeth Anne Yarnold was born on the 31st of October 1988 in Sevenoaks, Kent. She is fondly called Lizzy by one and all. She went to the University of Gloucestershire, where she studied Geography and Sport and Exercise Science. She was a heptathlete and was inspired watching Denise Lewis during the 2000 Sydney Olympics. At the UK Sport's Girls4Gold Talent Search Scheme in 2008, Lizzywas identified suitable for ‘Skeleton’. In two years’ time, Lizzy won her first official race at the Europa Cup in Igls, Austria. The very next day, she won again. Honing her skills in skeleton-racing, Lizzy became the Junior World Champion and won a Bronze medal in the 2012 Senior World Championships. Lizzy had the hunger and fire to be the best among the bests. She consistently improved her timing sheets. She named her sled ‘Mervyn’ after her colleague Mervyn Sugden. She won the World Cup Championship in the 2013-14 Season. At the Sochi 2014 Winter Olympics, Lizzy triumphed over her arch-rival Pikus-Pace to win the Gold medal, beating her by 0.97 seconds. Lizzy’s remarkable performance at the Winter Olympics fetched the prestigious Royal commendation. 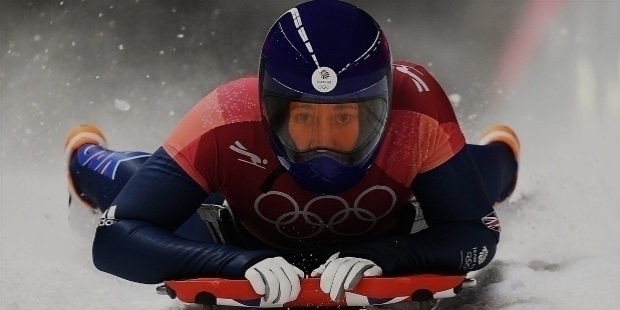 Elizabeth Anne Yarnold was appointed Member of the Order of the British Empire – MBE in the 2014 Birthday Honours, for her exemplary services to skeleton racing. This was the icing on Lizzy’s cake of success. Lizzy had set the track ablaze with her record runs. She clocked the fastest timing in the first and the third runs. Lizzy’s Gold medal was the 10th Gold, ever achieved by British athletes in the 90 years of Winter Olympic Competition. Lizzy created another record for Great Britain by winning the Gold. Ever since the Women’s Skeleton event was introduced in the Winter Olympics, England had ensured to win Gold medal in every Olympics. 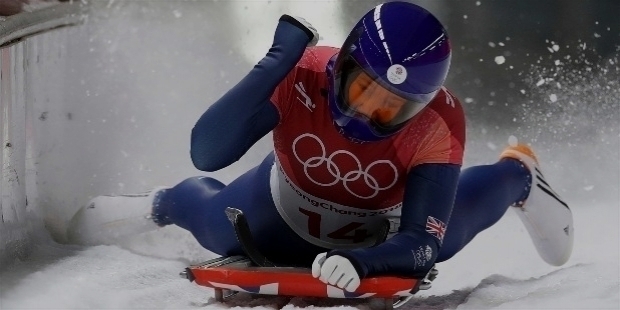 Yarnold’s superb form and performance saw her winning a career Grand Slam in 2014-15. In February 2015, she won the European Championships and became the World Champion in March. 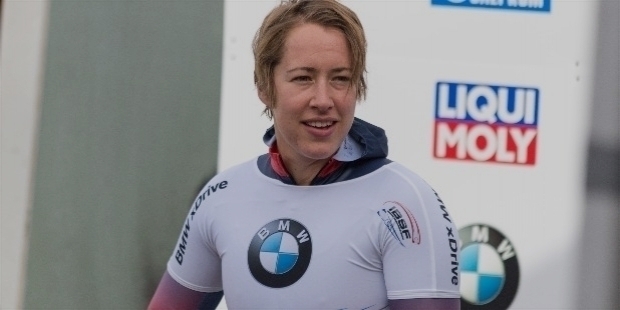 Yarnold broke the track records twice at Winterberg, winning the World Championships. Lizzy got married to James Roche on the 1st of May 2016. James works as an engineer. Lizzy’s husband had co-designed her sled ‘Mervyn’, while working for McLaren Applied Technologies. At the 2018 Winter Olympics, Yarnold etched her name in history books with her golden performance. 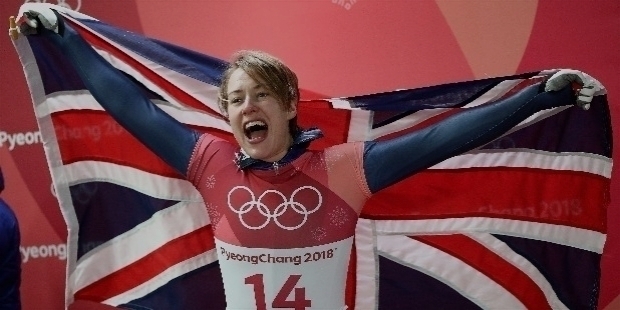 Elizabeth Anne ‘Lizzy’ Yarnold became the first-ever British to defend her title at the Winter Olympics, by winning the Skeleton Gold medal on the 17th of February 2018. Mirai Aileen Nagasu was born on the 16th of April 1993, in Montebello, Los Angeles County, California. She was raised in Arcadia, California. Mirai’s parents own a Japanese sushi restaurant Kiyosuzu in Arcadia. The family is Japanese immigrants. Mirai held dual citizenship till the age of 22, when she had to relinquish her Japanese citizenship as required by the Japanese law. Mirai started skating at a tender age of five. Since 2002, her performance in the juvenile level has not been so impressive under Coach Sandy Gollihugh, so she changed Coach in October 2006. She started training rigorously under Coach Charlene Wong. Coach Sashi Kuchiki, Sondra Holmes, Bob Paul and Jim Yorke were Mirai’s secondary Coaches. She worked once a week to refine her skating skills. Mirai won the Southwest Pacific Regional Championships and advanced to win the Pacific Coast Sectional Championships in the 2006-07 Season, at the ‘Junior Level’. She won the ‘Junior Level Short Program’ at the U.S. Nationals, ahead of reigning Junior Grand Prix Final champion Carolina Zhang. 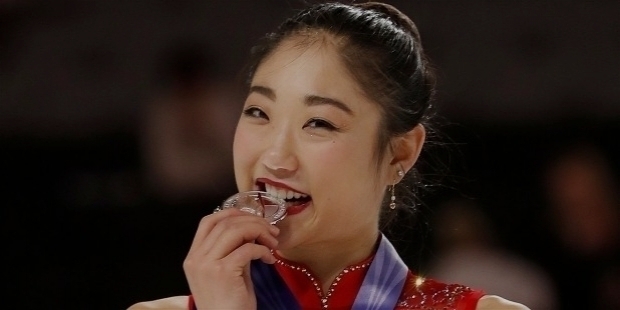 At the Junior Worlds, Mirai scored 5.41 points to win the Silver medal. Zhang, Nagasu, and Wagner constituted the first-ever sweep by the United States of the World Junior ladies' podium. Mirai Nagasu etched her name in history books as the first skater to win back-to-back U.S. Junior and Senior Ladies' titles, since Joan Tozzer in 1937 and 1938. Mirai became the second-youngest American Senior Ladies' Champion in history, after Tara Lipinski. During the 2008-09 Season, Mirai injured her ankle and laid low, working as a television commentator in Japanese for Fuji TV during the 2009 World Championships in Los Angeles. 2009 saw Mirai hired Frank Caroll as her Coach. She also started working with Galina Barinova, the Ballet Coach. She won her first Senior International Title at the Nebelhorn Trophy in 2011-12. Mirai parted ways with Coach Caroll in April 2012. She started training under Coach Wendy Olson and Amy Evidente, at the Pickwick Ice rink in Burbank, California. From 2012 to 2017, Mirai regularly kept winning Bronze and Silver medals at various competition. However, her real reckoning to become a legend finally arrived at the 2018 Winter Olympics. After an 8-year absence, Mirai Nagasu made her second appearance in the Winter Olympics. At the 2018 Winter Olympics, Mirai Nagasu created Skating History in Figure Skating Event. She became the ‘First American Woman’ and the 3rd Woman Overall to land the fiendishly difficult ‘TRIPLE AXEL JUMP’ at the 2018 Winter Olympic Games. 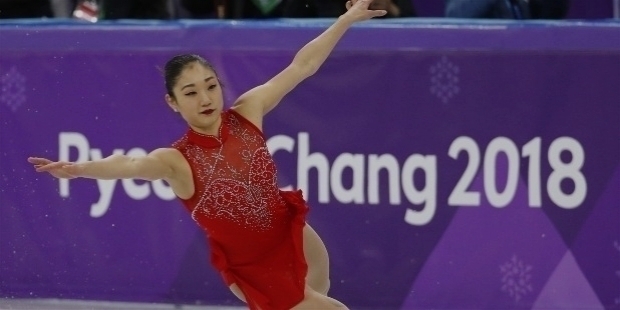 Mirai Nagasu’s triple axel jump helped Team America to win the Bronze medal at the 2018 Winter Olympics.